Uganda's President Yoweri Museveni during the country's 52nd Independence. Courtesy Photo. 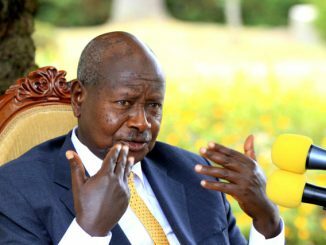 More than half of Uganda’s 52 years as an independent country have been under the administration of one government, the NRM government. So a discussion of Uganda’s independence inevitably must be about comparing the NRM with the governments that came before it. The NRM has overseen a major expansion in many aspects of the Ugandan economy. This expansion coincided with the global drive starting in the early 1990s toward the privatization of national economies. Thus Uganda, like many other countries, threw open its radio and TV airwaves, opened up the foreign exchange market to private currency dealers, and after the end of apartheid in South Africa in 1994, opened the doors to South African investment in the Ugandan economy. More rigid governments such as those in Ethiopia, Zimbabwe, Tanzania, Mozambique, Angola and other former Marxist governments have also since opened up their economies to private local and international investment. This means that whichever government would have been in power in the early 1990s would have done what the NRM government did. How the privatization went is another matter. At first it seemed like a breath of fresh air as stagnant government-owned corporations gave way to more vibrant private companies or were bought by the private companies. The new FM radio stations brought excitement to Kampala in 1994 and later, to dull upcountry towns. Crystal-clear digital television arrived in 1995 with DSTV. Later there came the first South African supermarkets like Metro, Shoprite and Game with a variety of quality goods. For younger Ugandans, at last their country seemed like an interesting place to be. It was not long, though, before the other side to privatization started to appear amid the new feeling of excitement. Many civil servants were retrenched without the proper and speedy processing of their retirement benefits. There was no real social security fund at the time to speak of and many former civil servants suffered unbearably. It was partly from this experience of civil servants being thrown to the wind that hardened the hearts of their remaining colleagues and this feeling of insecurity led to a steep rise in corruption, with civil servants trying to secure their retirement future well in advance. The few skilled and honest graduates from Makerere University, rather than be placed in the civil service that needed them most, ended up in the private sector. The private sector would discover that without a properly functioning civil service, private business would find it difficult to operate in Uganda. Government hospitals and schools that, even in the worst stages of the various military coups and civil war had remained intact began to fall apart, short of medicine, doctors and nurses. The last two decades, then, have been characterized by an expansion in the quantity and variety of the economy at the consumer level, but a serious downgrading of the institutions that cater to the quality of life for ordinary citizens. To many in the southern half of Uganda, however, these were reassuring and happy times. 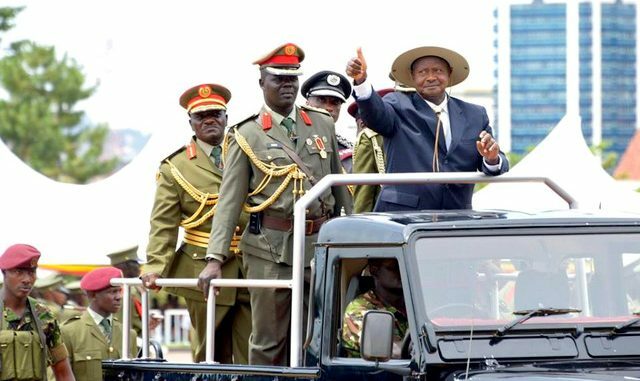 Their sons and daughters were now in charge of the country and of the armed forces for the first time since independence, a major sea-change in a country that since 1962 had been dominated by leaders and military commanders from northern Uganda. In a country where ethnic identity is still a major emotional factor in everyday life, this mattered to the southern tribes. That is part of the reason that many of the serious flaws in the privatization process went under-reported in the news media, dominated by these southerners. What was Uganda like before 1986? It was a government-centered country. The government owned and controlled the radio and TV station. There were only a handful of private schools, early all the others being government-owned or church-owned schools and there schools were the best at national exams in the country, year after year. The country had a national airline, national railway and the national coffee harvest was marketed abroad by a government parastatal. The level of management of these state-run corporations was mixed and there is some justification in the argument by those in the government after 1991 that some of these entities should have been privatized. The counter-argument to claims that government simply could not run any businesses is that, for example, the Uganda Electricity Board (U.E.B, forerunner to Umeme) was sold to the South African state-owned power company Eskom. If one government enterprise could be bought by another government enterprise, what then was the point in claiming that a Uganda government could not run a successful business? On the subject of tribalism and ethnic identity, there has been an argument since 1986 that one of the causes of Uganda’s political problems since independence has been tribalism. The cause of this, among other reasons, is that Uganda lacks a national language. If the country had a national language (different from English the official language), it would unite the country, goes this view. At first glance, this seems like a reasonable explanation for and solution to Uganda’s problems. However, it does not take much looking around Africa to discover that there is more to contemporary African problems than national language. Burundi, Rwanda, Ethiopia, Kenya and Somalia all have an indigenous national language that is not of colonial origin. It is Kirundi in Burundi, Kinyarwanda in Rwanda, Amharic in Ethiopia and Somali in Somalia. 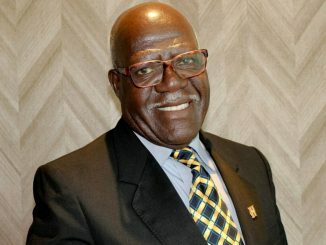 The history of civil war and military coups in these countries or, for the case of Kenya, deep-rooted tribal tensions and in 2007 and 2008, post-election violence that almost tore the country apart, clearly shows that a national language alone is not the solution to an African country’s problems. Burundi, Rwanda and Lesotho, where most of the population is from one ethnicity or shares the same culture have also been plagued by ethnic strife and military coups since independence. Uganda’s political problems since independence seem to be rooted in groups of elites jostling among themselves for power and resources. Partly because of this, since independence there has never been a peaceful handing over of power from one leader to another. The last such handover took place in early 1962 from the Prime Minister Benedicto Kiwanuka to the newly-elected Prime Minister Milton Obote. All others have been by use of force. Under the NRM government, offices have changed hands frequently from one Vice President to another, one Prime Minister, army commander, head of intelligence and cabinet minister to another. But these smooth handovers are not the best example, since the real state power is in the hands of the Head of State or President and so far there is no sign of this happening.